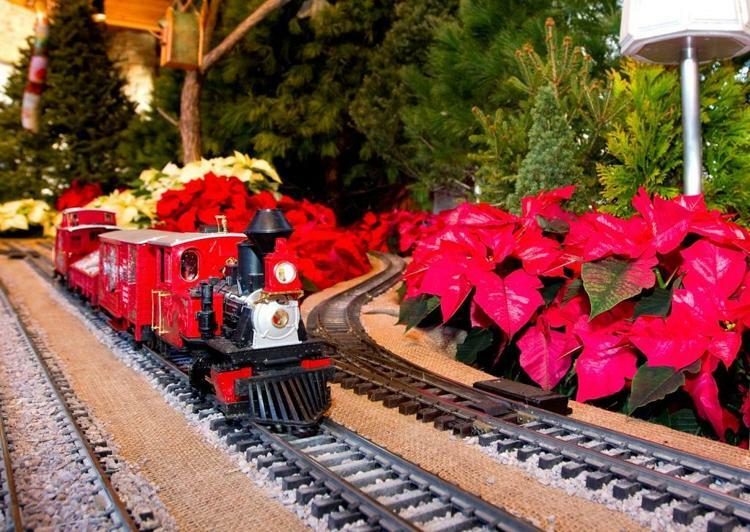 Large scale model trains wind through a holiday scene overflowing with hundreds of poinsettias and fresh evergreens! Members of the Wisconsin Garden Railway Society come from all over the state to show off their large-scale model trains. You may see a bullet train, steam train, Santa train circus train or freight drain, depending on the day. Admission is $6.00 and includes the Bolz Conservatory. Registration deadline is Friday, December 7. Register at the Madison Senior Center or call 266-6581. Payment of $6.00 due at registration. Registration Details: Deadline to register is Friday, December 7th.